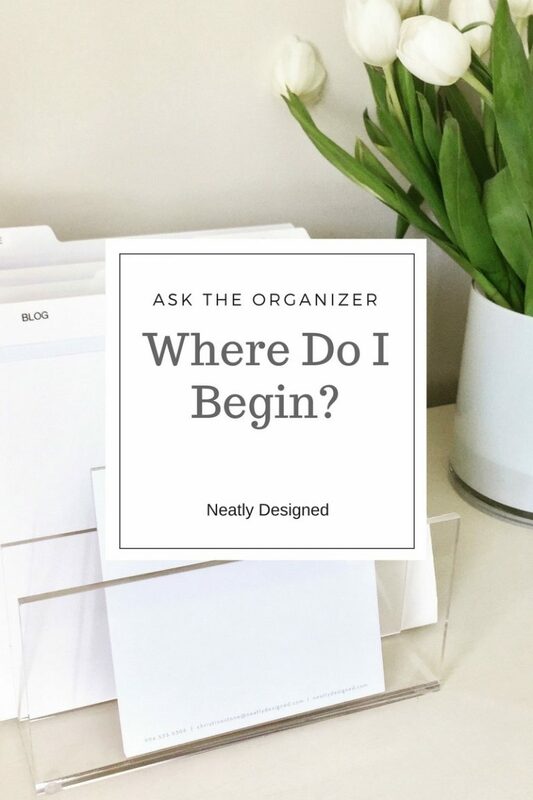 I’m often asked questions or tips on howto get organized. This week’s question is one of the most asked “where do I begin”. The thought of tackling the clutter is so overwhelming that it brings some of my clients to tears. Do you look forward to coming home at the end of the day the way it looks right now? Do you avoid having people come to your home because you are embarrassed? Do you think if I just had a bigger house things wouldn’t feel so cluttered? Are you using an extra room as a storage area for your clutter? Are your counters covered with stacks of papers? If you answered yes to any of these questions it’s time to get motivated and start enjoying your new uncluttered organized home. The only way to start is to start! No more excuses on why you can’t. Living in clutter is not only stressful but it is emotionally unhealthy for those in your family especially children. Children often don’t say anything to their parents because they have become use to living that way and cannot see change until it happens. I’m often told by many children and spouses when I’m done how happy they are now that the clutter is gone and how much they are enjoying the new organized space. Just the facial expressions from where we started and when I’m done are so amazing to see. Schedule a donation pick up or drop off a bag once a week until you get a handle on the clutter. It really does make a difference! Keep like things together. Go through your home and start grouping like things. Example: Keep office supplies in one area including bills and paperwork. Kitchen counters are not for stacks of paper and bills to be paid they are for cooking and serving food. Hire a professional or get the help of an organized friend. Its okay to ask for help especially if you don’t feel you can tackle the project yourself. New seasons are a time for change and there is no better time than the present to begin the clearing the clutter, it will be life changing. 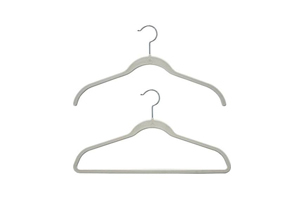 If you have an organizing question or just need motivation to begin the clutter clearing process leave a comment below. 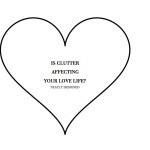 Is Clutter Affecting Your Love Life?